Battle of muscles! 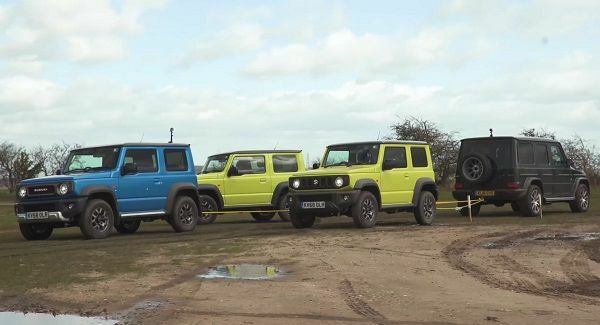 How many Suzuki Jimny it takes to win a Mercedes AMG G 63? How many ₦7.6m Suzuki Jimny do you think will out muscle ₦71 million worth of Mercedes in this auto battle field? You should click here and find out! 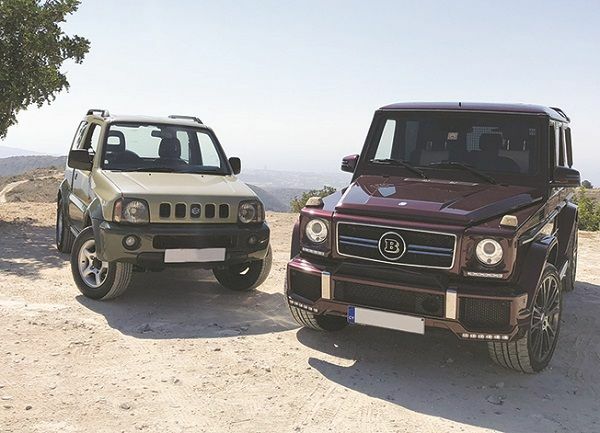 When you look at the price difference between the Mercedes AMG G 63 and Suzuki Jimny, you might feel it is not fair enough for a contest of muscle. But you might want to see what wonder the underdog Jimny by Suzuki could pull in this battlefield. To put your mind at rest, a single Suzuki wasn’t used in this battle, but it will be interesting to find how many Jimny it would take to take down this Mercedes road machine. We are proud to announce to you here on Naijauto that it only took three Suzuki Jimnys to take down the powerful Mercedes AMG G 63. So if you attempt one or two to battle against the beasty Mercedes product, you are likely to fail. When you combine the power of each of these three Jimnys worth $21,000 (~N7.6m) and a generative power of 100 horsepower, it will give you a combined $63,000 (~N22.7m) and a 300 horsepower. No way is that a fair contest! It might look so shocking considering the price of AMG G 63, which is priced at $197,000 (~N71m) and a generative horsepower of 577 to be outwitted by lesser price and horsepower when you put three Jimnys together. The answer here is quite simple; this was possible due to the heavier combined weight of three Jimnys and the traction in twelve wheels when compared to four. 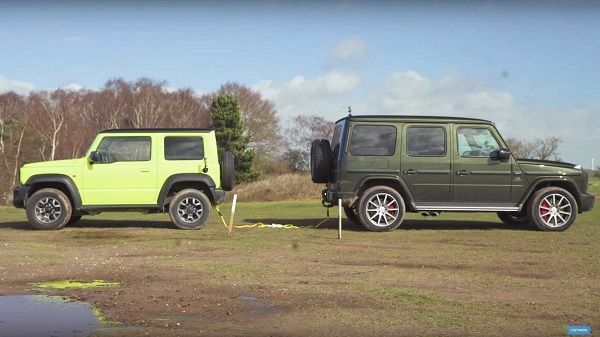 Mercedes AMG G 63 vs Suzuki Jimny- seems like the battle ground is set! When you take a closer look at the price of the fourth generation Suzuki Jimny, you would agree that the two-door vehicle is indeed one of the most affordable and efficient off-roaders you will find in the market. For just ₦7.6m, you will enjoy a naturally aspirated 1.5-liter gasoline engine with the capacity of 100hps. We aren’t really surprised with the incredible features of Mercedes AMG G 63 considering its price and pedigree of the German automaker. It is equipped with a 4-liter AMG 4.0 V8 bi-turbo handcrafted engine with a mouthwatering 577 horsepower. It promises a 4-options select dynamic driving modes such as Eco, Comfort, Individual and Sport. Mercedes AMG G 63 is that type of luxury SUV every celebrity in Nigeria that could afford it likes flaunting on social media. Celebrities that drive such include Timaya who has three, AY Comedian, DJ Cuppy and KCEE. >>> Follow auto and transportation trends in Car news on Naijauto.com!